The Caudalie Vinexpert Nutritional Supplements work from within to promote enhanced hydration levels and firmer skin texture, alleviating the appearance of deep-set wrinkles and discoloration over time. 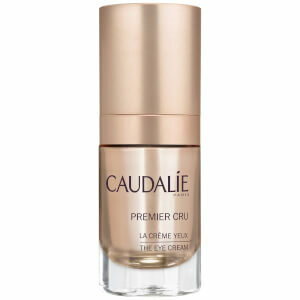 The capsules are formulated with Caudalie’s signature Grapevine Polyphenols (OPC), which deliver a host of antioxidants to neutralize free radical damage and environmental aggressors, while age-defying Reservatrol seeks to smooth the look of fine lines and promote a plumping effect to the cellular structure of skin. Suitable for all skin types, the supplements are a vital, secret-step in your skincare regime, resulting in drastically optimized results in just a few weeks to leave your skin looking revitalized and rejuvenated to its core. Please Note: Not recommended for women who are pregnant and/or breastfeeding. Take 2 capsules a day between meals all year round, or as a 3-month treatment. Precautions: This product is not recommended for women who are pregnant and/or breastfeeding, and those who are sensitive or allergic to any of the ingredients. Keep out of the reach of children. Do not exceed the recommended daily dose. As a supplement to a varied diet. Keep in a cool, dry place. Grape Seed Oil (Vitis Vinifera L.), Virgin Starflower-Seed Oil (Borago Officinalis L.), 9% GLA Virgin Evening Primrose Seed Oil (Oenothera Biennis L.), Modified Starch: Hydroxypropylated Cornstarch (E1440), Firming Agent: Glycerol (E422), 40% OPC Dry Extract Of Fruit Marc (Vitis Vinifera L.) On Maltodextrin And Citric Acid, Gelling Agent: Carrageenan (E407), Thickeners: Fatty Acid Mono And Diglycerides (E471), Emulsifier : Colza Lecithin (E322), Acidity Regulator : Disodium Phosphate (E339). I normally don't write any review since I am too lazy. But this time I am willing to tell you guys this product is wonderful, at least for me. I have extremely dry skin during the fall and winter time period. After taking this supplements, I notice that my skin looks more hydrated. Meanwhile, it more or less eases my sensitive skin. I would highly recommend this product, even though it's a little bit expensive for me to take consistently. it is very useful for my skin. Grape seed is a good antioxidation. I feel my skin is getting better after I eat it for three months. I will keep using it.